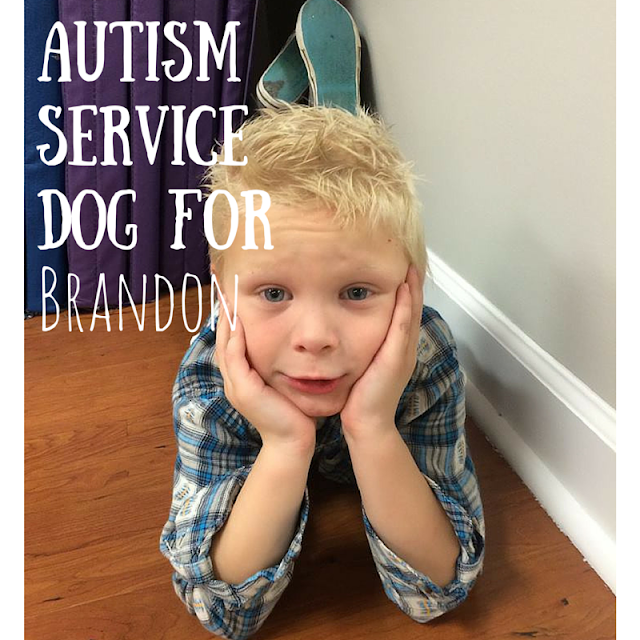 We are fundraising for an autism service dog for Brandon! He is so deserving of the companionship, help, and safety that an autism service dog would provide him. How this works, is we need to raise $15,000 for 4 Paws for Ability that will be used by the agency to further its mission. Once we have met our fundraising goal, this secures a service dog for Brandon. When Brandon was 2, he was diagnosed with autism. Brandon brings more joy to our lives that we can possibly describe. Every milestone he hits brings us amplified hope and joy for his future. He is sweet snuggle bug and a ball of energy. While Brandon continues to make progress, he does have some behaviors that put him in danger. When he is upset he hits himself in the head, bangs his head against the window, and bites himself. He is still nonverbal, so he is not able to communicate why he is upset. This is often more upsetting to him that whatever set him off in the first place. An autism service dog will help to calm him down, and keep him from hurting himself. Another grave concern of ours is Brandon’s impulsive running. We have to have him strapped in a stroller or have a death grip on his hand when we go out in public or he will dart away from us. When he is interested in something, he will run to it without concern of his surroundings. He is fast! A service dog will prevent Brandon from leaving our home, and God forbid he ever escapes our house, his service dog can find him immediately. A recent and tragic story of a toddler lost in the woods here in Tennessee really prompted us to get moving quickly on this dog for Brandon. With his propensity for running, this dog could be a matter of life and death for Brandon. After researching our options, we have decided to use an organization called 4 Paws for Ability. 4 Paws for Ability is a nonprofit, 501(c)(3) organization whose mission is to place quality service dogs with children with disabilities and veterans who have lost use of limbs or hearing; help with animal rescue, and educate the public regarding use of service dogs in public places. We have always felt supported by our friends, family, our community, and even generous strangers. We are asking for your help. 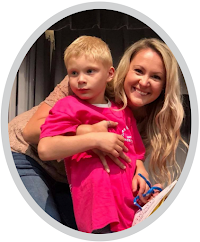 Whether it is in donation, or sharing this page on social media we appreciate your continued support to help us keep Brandon safe, happy, and thriving. Please do not underestimate the value of sharing this fundraising page on your social media! All contributions go directly to the non-profit organization 4 Paws for Ability, so your donations are tax-deductible. Please make the check out to “4 Paws for Ability” and be sure to include “In Honor of Brandon Slough” on the memo line.